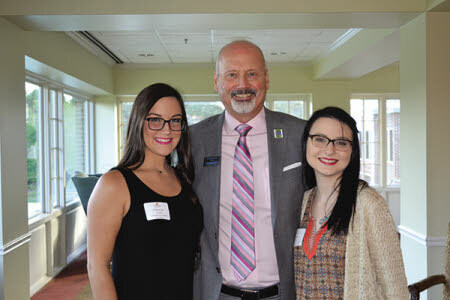 The Cleveland State Community College Foundation hosted a dinner reception on Tuesday night at the Cleveland Country Club. The purpose of the event was to express appreciation to community members who have provided financial support to Cleveland State over the past year, while also giving them opportunity to hear how their support is impacting the success of the College and students. 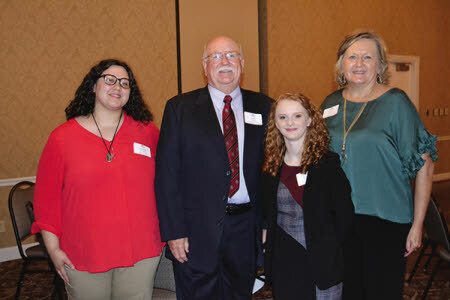 According to Foundation Executive Director Cindy Dawson, donor gifts provide support for three categories of needs: annual programs, scholarships, and/or capital projects. A total of $1,222,523 was received during the 2017-18 Fiscal year. State appropriations provide 30.9 percent, and tuition/fees fund 33.2% of Cleveland State's annual budget of $22.1 Million. Gifts to the Foundation help to fund remaining unmet budget needs of the college. A large portion of recent gifts to the college came as support of Cleveland State's Capital Campaign goal to raise $2.5 Million. The college was required to raise the ten percent match in order to secure state funds allocated in Governor Haslam's 2019 Budget to build a new Health and Science Building and to renovate the Mary T. Barker Humanities Building. The event provided another opportunity to celebrate that gifts and pledges toward this campaign exceeded $3 Million! Dr. Bill Seymour, CSCC President, provided a “Year in Review” for the College and expressed gratitude for all who helped make this goal a reality, and recognized that gifts of all levels were very much appreciated and helped CSCC reach this milestone. He also recognized the top five major commitments of $250,000 each that made up half of the required match: Bradley County Commission, Cleveland City Council, Greg A. 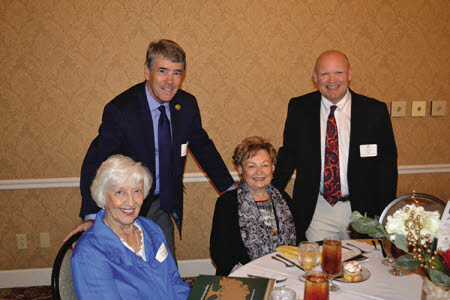 Vital, George R. Johnson Foundation and United Way of the Ocoee Region Healthcare Fund.